Ever since Satoyama Initiative was introduced in the late 2010, it has received great popularity from the government and the general public. 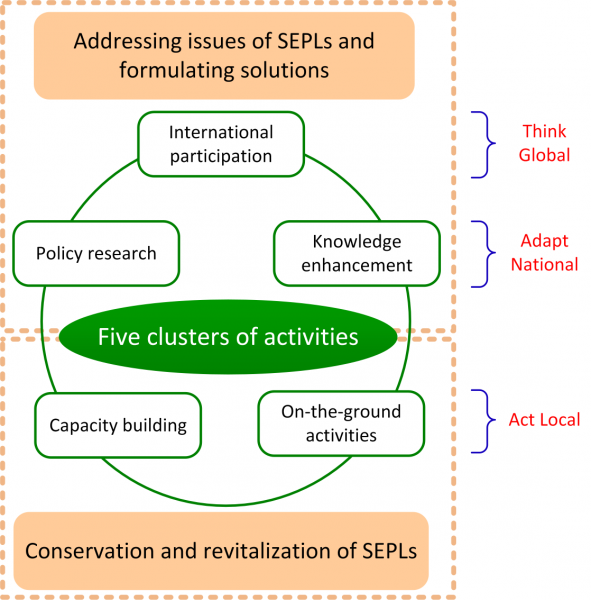 Practices engaging in conservation and revitalization of socio-ecological-production landscapes (SEPLs) in compliance with the goal of Satoyama Initiative are on the rise. Notably, the Forestry Bureau of Council of Agriculture had been working with universities, NPOs and local communities on ecological restoration of rice terraces and wetlands in the name of the Satoyama Initiative since 2011. Therefore, it called for a more integrated approach to setting up a national strategic framework for promoting Satoyama Initiative in Taiwan. 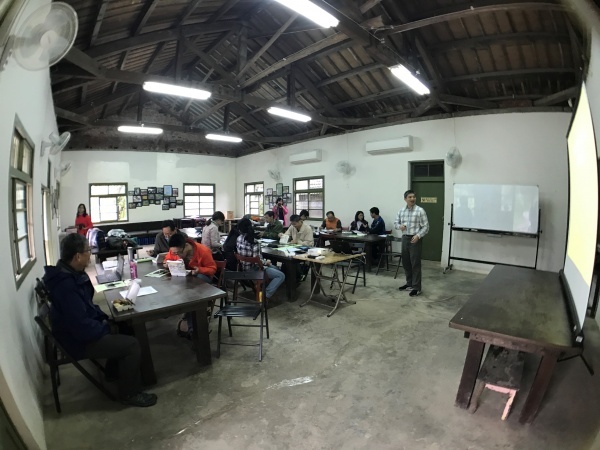 Learning from the experiences of IPSI, from 2014, the Forestry Bureau has been working with National Dong-Hwa University (NDHU) on the development of a Taiwan Partnership for the Satoyama Initiative (TPSI). Being small with a large population, Taiwan experiences great pressure in land development. The middle and lower reaches of Taiwan island are mainly occupied with rural and urban areas. 80% of population is concentrated in urban areas which covers only 13% of Taiwan’s total land, while nature and rural areas cover 58% and 29% respectively (Lee, 2016). In the past in rural areas, livelihoods of local and indigenous communities depended on environmentally friendly agriculture, forestry, fishery and livestock farming. Impacted by urbanization, conventional farming and climate change in recent decades; however, rural areas have been suffering from problems including aging, production landscape deterioration, economic depression, and traditional ethics and culture disappearance. The negative impact on biodiversity of reduced human intervention in nature has become a problem in Taiwan. Due to changes in resource use such as the decline in the use of wood as a fuel and the decreasing and aging population of people managing forests and farmlands, the agricultural production landscape complex is no longer being maintained as it once was. Consequently, species that live specifically in this secondary natural environment that has been maintained by human intervention are now in danger of extinction. In contrast, the populations of wild deer, boar and monkeys have been expanding rapidly and are having an adverse effect on ecosystems and are causing severe damage to the agriculture and forestry industries and to livelihood of rural communities. The integrity and connection among forests, rivers, human settlements and seas in natural and rural areas of Taiwan thus are in need of integrated approaches to conservation, revitalization and sustainability. There is an urgent need to reposition the roles and functions of rural areas in Taiwan. Through conservation and revitalization of socio-ecological production landscapes and seascapes (SEPLs), it is likely to enhance the reciprocal exchange between rural and urban areas as well as restore the key role of rural areas linking natural and urban areas in Taiwan. 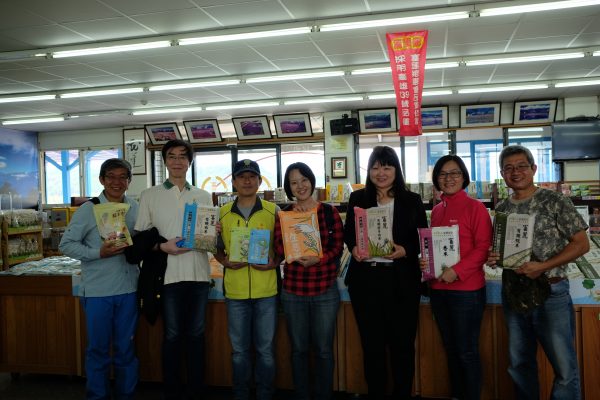 Ever since Satoyama Initiative was introduced to Taiwan in the late 2010, it has received great popularity from the government and the general public. Practices engaging in conservation and revitalization of SEPLs in compliance with the goal of Satoyama Initiative are on the rise. Notably, the Forestry Bureau of Council of Agriculture had been working with universities, NPOs and local communities on ecological restoration of rice terraces and wetlands in the name of the Satoyama Initiative since 2011. However, there are challenges ahead concerning the promotion of the Satoyama Initiative in Taiwan (Lee, 2014; Sia et al., 2015) and calls for a more integrated approach to setting up a national strategic framework for promoting Satoyama Initiative. 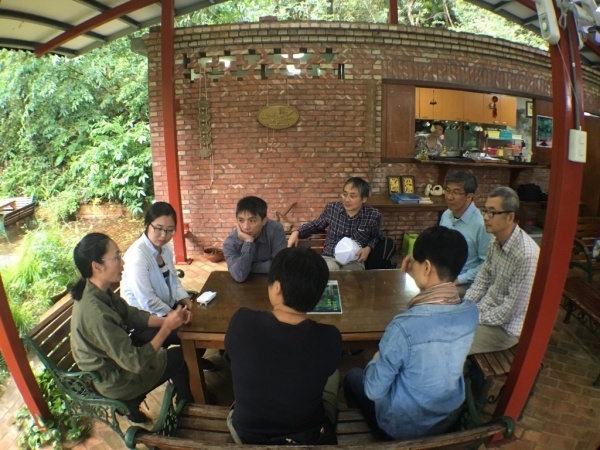 Learning from the experiences of the International Partnership for Satoyama Initiative (IPSI), from 2014, the Forestry Bureau has been working with National Dong-Hwa University (NDHU) on the development of a Taiwan Partnership for the Satoyama Initiative (TPSI). Despite of the fact that Satoyama Initiative has been very welcomed by the Taiwanese government and the public, and there have been more and more relevant reported practices in line with goals of the Satoyama Initiative, a large part of agricultural production landscape has been contaminated by conventional farming; that is to say chemical fertilizers, pesticides and herbicides. According to statistics, certificated organic farming has been applied to merely 1% of arable land. The answer to how to facilitate environmentally friendly farming in rural areas in Taiwan in order to boost the effects of socio-ecological production landscapes/seascapes still awaits to be solved by a more integrated landscape approach. Before 2014 in Taiwan, only Forestry Bureau had called for national and international Satoyama Initiative conferences to offer interactions and promotions. Nothing like a government institution had yet taken up the role of a national promoter to propose an integrated policy and strategies in pushing forward Satoyama Initiative in Taiwan. Even though Forestry Bureau’s work on rice paddy and wetland restoration programs had brought attention, it was true that there was a strong need to have more comprehensive and integrated policies and strategies. Even though it is true to say that the notion of Satoyama Initiative had gained a certain degree of governmental and civil popularity in Taiwan; most of the people simply understood it literally as terms like sustainable development and ecological tourism, and thus have different interpretations, which had eventually led to misunderstandings and disagreements in terms of consensus and actions. There had been some research reports and popular science articles that introduced the core concept, values, goals, promotion framework, and good practices of the Satoyama Initiative the international to Taiwan in 2011-2013; still, studies on domestic practices were academically insufficient in the way that they lacked comprehensive analyses and discussions of domestic experiences based on on-the-ground works. The Satoyama Initiative needs on-the-ground practitioners to take actions. Therefore, it is a top priority to provide capacity building for practitioners. Many practitioners did their jobs in their own way based on their knowledge and experiences. There was a need to come up with relevant capacity building courses and workshops for mutual learning and exchanges of experiences. There was a need for good practices in accordance with Satoyama Initiative’s vision, approach and action perspectives, namely the ‘three-fold approach.’ In addition, such practices in Taiwan also lacked analytical reports on detailed planning processes, management frameworks and implementation outcomes. 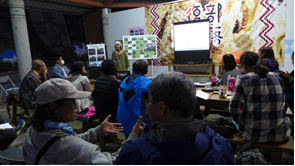 As a consequence, local Satoyama Initiative practices in Taiwan were mostly outcome demonstrations and explanations which were not comprehensible for international or domestic societies to learn from and refer to. A first draft of the National Strategic Framework for Promoting Satoyama Initiative in Taiwan, including 5 aspects of activities including enhancing international participation and exchange, working on policy research and strategic framework, facilitating knowledge of indicators for monitoring, enhancing capacity building and knowledge exchange through networking regional on-the-ground activities, was proposed by NDHU in 2014 and adopted by the Forestry Bureau in 2015. 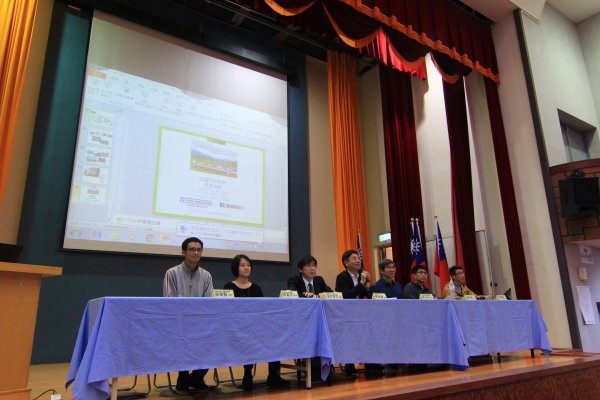 In 2014-2015, the National Dong-Hwa University (NDHU) was commissioned by the Taiwan Forestry Bureau to conduct the first two-year Pilot Project for the Development of a Taiwan Partnership for the Satoyama Initiative (TPSI). 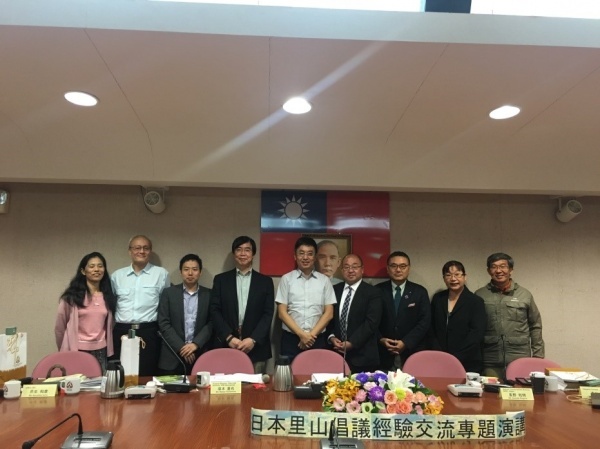 In 2016 and 2017, the Forestry Bureau continuously commissioned and worked with NDHU on conducting the second two-year Extension Project for the Development of a Taiwan Partnership for the Satoyama Initiative (TPSI). TPSI is to build up a national multi-stakeholder partnership network in which stakeholders pool their complementary strengths, resources, assets and knowledge for solving problems in a holistic and synergistic manner. 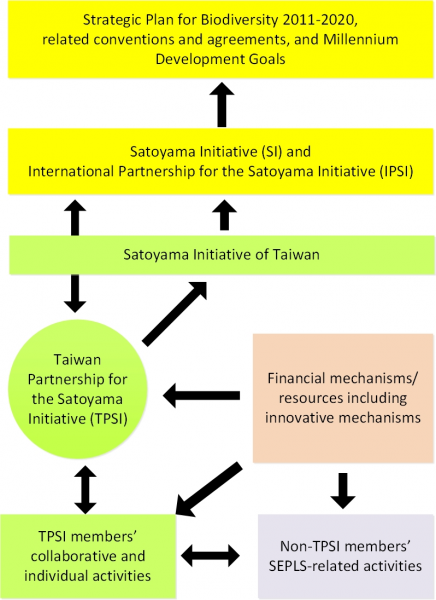 The objective of TPSI is to work with IPSI on implementation of activities under the Satoyama Initiative around the whole islands, Taiwan (Figure 1). The first target, corresponding to ‘think global’ and ‘adapt national,’ is about addressing issues of SEPLs and formulating solutions. Three task activities related to the first target include enhancing international participation and exchange, working on policy research and strategic framework for implementation as well as facilitating knowledge of indicators for monitoring. The second target, corresponding to ‘act local’, is about conservation and revitalization of socio-ecological production landscapes. Two task activities related to the second target include enhancing capacity building for on-the-ground practitioners and relevant governmental institutions, enhancing and networking on-the-ground activities. IPSI members: Nine IPSI members in Taiwan as key partners including: National Dong-Hwa University (NDHU), Society for Wildlife and Nature (SWAN) International, Taiwan Ecological Engineering Development Foundation, Environmental Ethics Foundation of Taiwan, Hualien District Agricultural Research and Extension Station, Forestry Bureau of Council of Agriculture, Tse-Xin Organic Agriculture Foundation, Soil and Water Conservation Bureau, and Observer Ecological Consultant Co., Ltd.
IPSI non-members: other organizations of local practitioners in north, middle, south and east parts of Taiwan were invited to participate in the conferences and workshops and share their experiences of on-the-ground activities in 2014-2017. Figure 3. Location of Taiwan (left) and north, west, south and east regions of TPSI networks. A report on the Satoyama Initiative Case Study Report Workshop for practitioners held in NDHU on 28-29 May 2015. In May 2016, promotion of the Satoyama Initiative in Taiwan became a new ministerial policy announced by the new Minister of Council of Agriculture and followed by the new Director General of the Forestry Bureau, Council of Agriculture since July 2016. Four regional Networks (including north, west, south and east regions of Taiwan) has been built up since 2016 for capacity-building and exchange of on-the-ground experiences of practitioners. One- or two-day regional workshops for TPSI-south, north, west and east were separately held in Jul, Aug, Nov and Dec 2016 and involved many participants from local community organizations, local governmental institutions, NPOs and NGOs, experts and academics from different regions as follows: TPSI-S (south) activity was conducted in Kaohsiung county on 12-13 Jul 2016 involving 14 participants from 9 different institutions; TPSI-N (north) activity was conducted in New Taipei City on 15 Oct 2016 involving 15 participants from 9 different institutions; TPSI-W (west) activity was conducted in Maioli county on 27 Nov 2016 involving 11 participants from 11 different institutions; TPSI-E (east) activity was conducted in Hualien county on 7-8 Dec 2016 involving 23 participants from 13 different institutions. 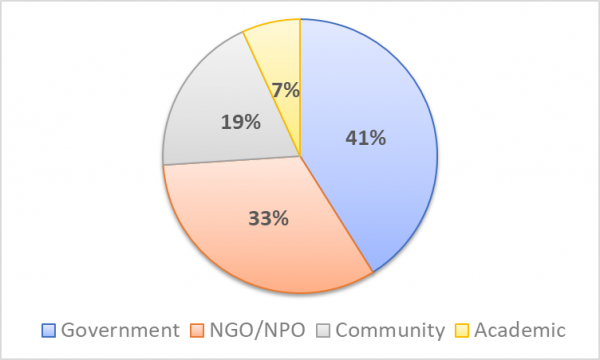 In total, four regional (north, west, south, east) TPSI 2016 activities totally involved 61 participants from 26 different governmental institutions, NGOs/NPOs, academics, community organizations. A Capacity-building Workshop on TPSI Extension for administrative staffs from the Forestry Bureau Headquarters and its 8 district offices was held on 8-9 Aug 2016, Taipei. The workshop in total involved 55 administrative staffs from the Forestry Bureau Headquarters and its 8 district offices. On 17-20 Oct 2016, NDHU helped the Forestry Bureau to invite Mr. Kazuaki NAGANO from MoE Japan and Mr Toru HAYAMI from the Hayami Forest to share their experience and expertise on revitalization policy and plans for the Satoyama and Satochi areas in Japan as well as the practices of the Forest Stewardship Council (FSC) certification. 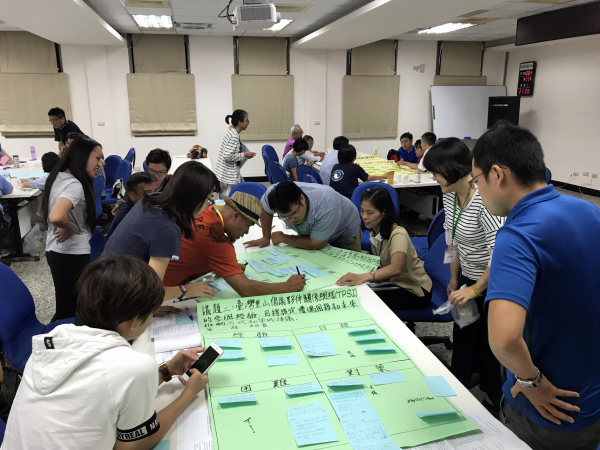 Four regional TPSI (including north, west, south and east regions of Taiwan) activities were successfully conducted: TPSI-S (south) activity was conducted in Pintung county on 26-27 May 2017 involving 40 participants from 25 different institutions; TPSI-W (west) activity was conducted in Nantou county on 29-30 Jun 2017 involving 27 participants from 16 different institutions; TPSI-E (east) activity was conducted in Hualien and Taitung county on 25-26 Jul 2017 involving 36 participants from 24 different institutions; TPSI-N (north) activity was conducted in I-lan county on 29-30 Aug 2017 involving 31 participants from 18 different institutions; In 2017, four regional (north, west, south, east) TPSI 2017 activities totally involved 134 participants from 57 different governmental institutions, NGOs/NPOs, academics, community organizations. The numbers and diversity of participants have increased a lot since 2016 (Figure 4). 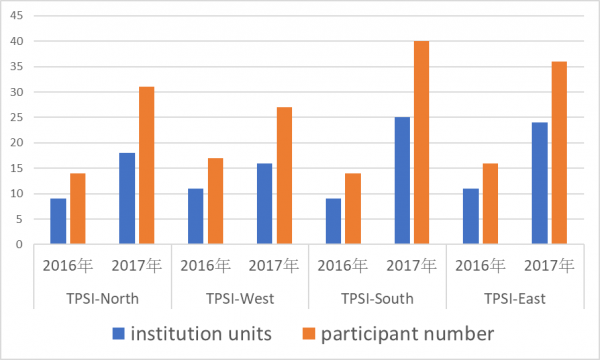 The government in Taiwan has become more interested in participating in TPSI in recent years (Figure 5). A Capacity-building Workshop on TPSI Extension for administrative staffs from the Forestry Bureau Headquarters and its 8 district offices was held in 10 May 2017, Taipei. The workshop in total involved 20 administrative staffs from the Forestry Bureau Headquarters and its 8 district offices. It could be observed that many officers became much familiar with the Satoyama Initiative and TPSI than in the first workshop held in 2016. One-day Symposium (morning session) and Workshop (afternoon session) for TPSI-all 2017: Review and outlook of TPSI development, was held, in cooperation with the Chinese Society for Environmental Education (CSEE), at the National Museum of Natural Science, Taichung on 15 Sep 2017. The morning Symposium involved 150 participants and the afternoon Workshop invited 50 participants from different governmental institutions, NGOs/NPOs, community organizations, academic/educational institutions and citizens. 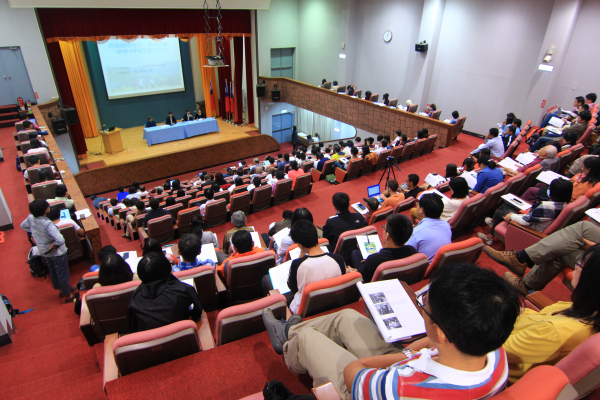 It was the first-time national scale TPSI meeting held in Taiwan. It was helpful for participants to learn the origin, process and progress as well as discuss challenges and strategies of TPSI development in recent years and to the future. NDHU participated the Satoyama Initiative Regional Workshop in Sabah Malaysia on 18-20 April 2017 and gave a presentation about ‘Facilitating the Development of a Taiwan Partnership for the Satoyama Initiative (TPSI)’ in the opening plenary session on the first day. On 16 Nov 2017 in the Forestry Bureau, Taipei, NDHU helped the Forestry Bureau invite Mr. Naoya Tsukamoto and Ms. Evonne Yiu from UNU-IAS to give speeches in morning Symposium session on IPSI-TPSI Exchange and Satoumi Initiative in Japan, and participate in afternoon Workshop on Youth Participation in TPSI Development. There were in total 202 participants from 35 governmental institutions, 60 NGOs/community organizations, 21 academic/educational institutions and 24 citizens. It was helpful for IPSI Secretary to know more about the progress of both the Satoyama Initiative and TPSI development in Taiwan. Relevance to IPSI Strategic Objectives: The TPSI project focuses on setting up a national framework for promoting Satoyama Initiative in Taiwan as well as enhancing and networking partnership among governmental institutions, academics, NPOs, on-the-ground practitioners and experts. Therefore, the TPSI project closely related to the IPSI Strategy Objective ‘four’ as well as its priority actions ‘a,’ ‘b,’ ‘c,’ ‘d’ and ‘e’ for the IPSI Plan of Action. Relevance to Aichi Biodiversity Targets: Contributions of the TPSI project may relate to the Aichi Biodiversity Targets of 04 (sustainable use of natural resources), 06 (sustainable fishery), 07 (sustainable agriculture), 11 (protected areas), 13 (agro-biodiversity), 14 (ecosystem services), 18 (traditional knowledge) and 19 (knowledge enhancement). Relevance to SDGs: Contributions of the TPSI project may relate to the SDGs goals of 02 (food security and sustainable agriculture), 12 (sustainable consumption and production), 13 (combat climate change) and 15 (sustainable management of forests and biodiversity enhancement). Progressive achievements and innovativeness: Among IPSI members of the world, it is apparently rare to have a national network set up for promoting the Satoyama Initiative. The TPSI project has continued its program in an experimental way for four years. The numbers and diversity of participants are all increasing. Long-term continuation of project activities: From 2014, the Forestry Bureau has been working with NDHU on the pilot works. A first draft of a National Strategic Framework for Promoting Satoyama Initiative in Taiwan was proposed by NDHU in 2014 and adopted by the Forestry Bureau in 2015. Promotion of the Satoyama Initiative in Taiwan has become a new policy announced by the new Minister of Council of Agriculture in May 2016 and by the new Director General of the Forestry Bureau in July 2016. 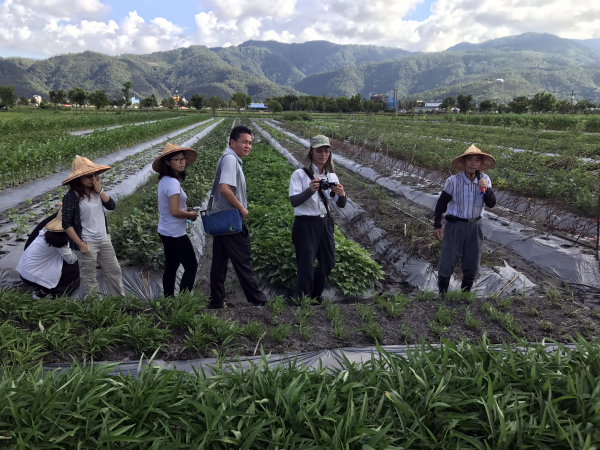 The Satoyama Initiative in Taiwan therefore has gained the political momentum from central governmental institutions since 2016. Influencing factors: A national partnership network for the Satoyama Initiative in Taiwan cannot be successful without first, continuous supports from the Forestry Bureau of the Council of Agriculture; second, National Dong-Hwa University (NDHU) as the project conductor and coordinator; third, supports and participation from 7 other IPSI members and non-IPSI members of Taiwan. IPSI collaborative activities are one of the key instruments for enhancing mutual learning and cooperation among IPSI members. 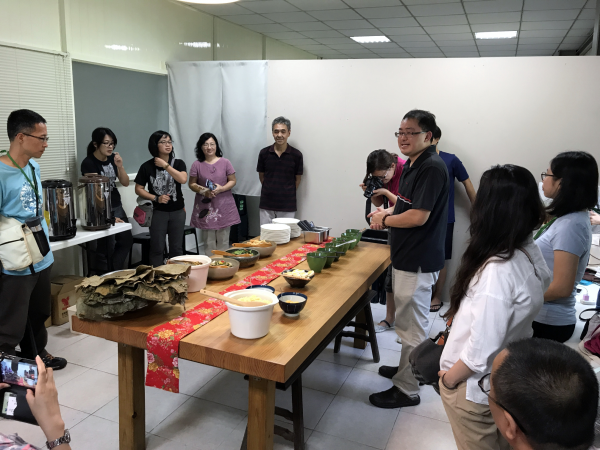 Among the existing 40 collaborative projects, TPSI is unique since it adopts a national scale and focuses on partnership among IPSI and non-IPSI members in Taiwan. For design of TPSI, we learned a lot from IPSI’s operational guidelines, strategy and action plans. We are currently working on review and analysis of TPSI activities. In the near future we hope that we can share our knowledge and experience of developing a national partnership for the Satoyama Initiative to international IPSI members and other societies. In 2016 and 2017, NDHU, the Forestry Bureau and other IPSI and TPSI members have worked closely on promoting TPSI’s 5 clusters of activities. 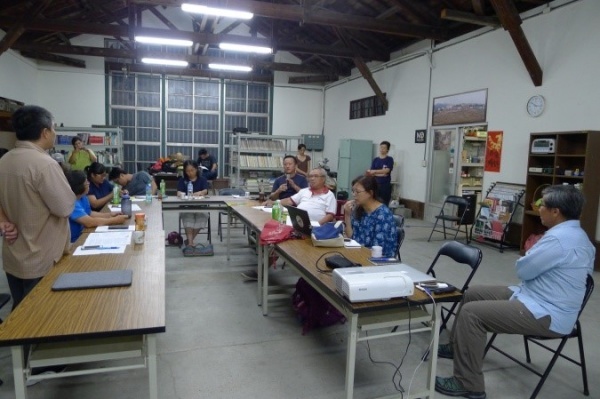 In the near future, the goal of TPSI is to help revitalize and conserve the socio-ecological production landscapes and seascapes in rural Taiwan. We believe that a revitalized rural area can help build up a national ‘Green Network’ beyond the upstream national forests and protected areas, as well as reconnect nature area conservation, rural development and urban partnership for moving towards a society living in harmony with nature. From 2018, NDHU will continue the TPSI projects and work with the Forestry Bureau, other IPSI and TPSI members on promoting above TPSI’s clusters of activities. 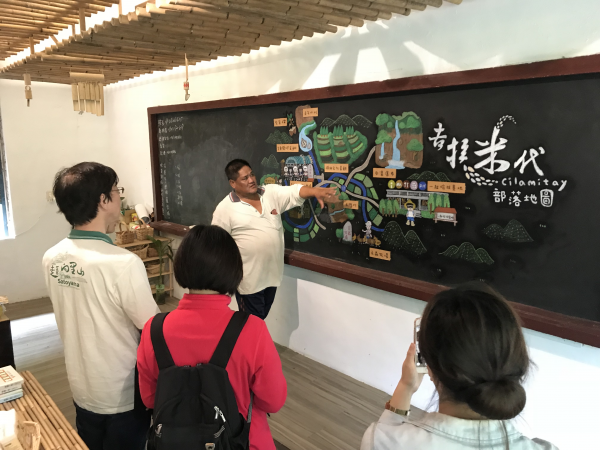 In Taiwan, we have just learnt to regard the Satoyama Initiative as not only individual initiatives but also concepts and approaches to reconnecting natural-rural-urban areas of Taiwan. As we learnt from professor Takeuchi, we need to enhance the symbiotic relationship between rural areas and urban areas, and therefore we can conserve the natural areas more effectively. In the past, lots of efforts of biodiversity conservation in Taiwan have been made to set up a national protected area system especially for conservation of upper-stream high mountain natural areas and individual wetlands. Now we have started to incorporate concepts of Satoyama Initiative into wider landscape and seascape management through reconnecting upstream and downstream, and 森-川-里-海 (forest-stream-village-sea) of natural, rural and urban areas. IPSI Secretariat and UNU-IAS (2013). Strategy for the International Partnership for the Satoyama Initiative (IPSI). United Nations University Institute of Advanced Studies.